We are currently unable to offer cashback discounts on any purchases made at Foodpanda. Please see below for details. 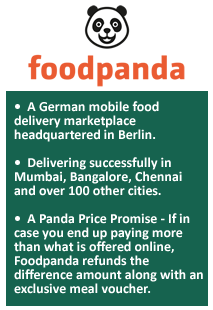 Foodpanda is an international mobile food delivery marketplace headquartered in Berlin, Germany which offers home delivery of food when ordered online through their website or mobile app. Users can order online from their choice of restaurants in their preferred locality. The company currently operates in over 40 countries worldwide and is one of the largest takeaway food services in the world. The portal was co-founded by Rohit Chadda in 2012. 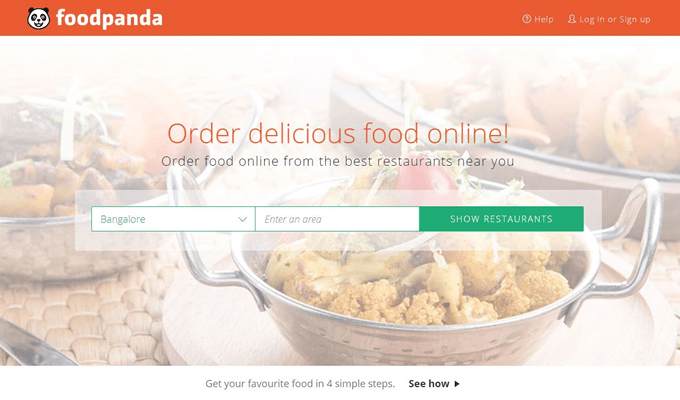 Foodpanda India is a subsidiary of the Foodpanda Group which connects people with the best restaurants around them. The company currently operates across over 100 cities including Delhi, Bangalore, Mumbai, Kolkata, Hyderabad, and Chennai. With a blistering fast home delivery, Foodpanda is one of the largest online takeaway food services in India. Watch out for the discount code or Foodpanda coupons applicable on TopCashback to save money on all your online food orders. 1. First of all, you need to put your food delivery location on the search bar and select your preferred location from the list generated by the portal. 2. Browse and select from hundreds of menus available from the restaurants near your searched location. 3. Select menu items from the restaurant of your choice and proceed to checkout. You can pay using online banking, credit/debit cards or simply with cash on delivery. 4. The food will be picked up from the restaurant by authorized Foodpanda delivery personnel and will be delivered right to you. The company has exceptionally fast delivery services all throughout the country. Browsing restaurants on the menu of your choice can be done on Foodpanda using two filters. You can filter the restaurants by choices such as places that accept online payments, current deals, by brands, restaurants serving sweet items and also by timings such as breakfast where you’ll get the restaurants with the best breakfast buffet offers or evening snacks where you can find the place offering deals on snacks in the evening. 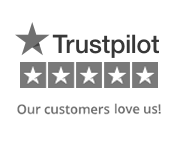 You can also opt for the People’s Choice category to browse through the restaurants with the highest user rating. Want to eat Italian food, but no clue where to get it from? No problem! Foodpanda also offers a fantastic filter called Cuisines, where you can select the restaurant and order food of your choice by cuisine. Select from a huge list of cuisines available on the website like Chinese, Mexican, Mughlai, and seafood, North Indian, South Indian, Continental, and Punjabi. All you have to do is, select the cuisine of your choice and Foodpanda will show you the restaurant with the menus that fall into that category. Feeling lazy and hungry? Search, choose, pay and enjoy delicious food items from your nearest restaurants with the fun and fastest delivery experience in this Diwali through your favorite food buddy - Foodpanda. India’s most convenient food ordering website Foodpanda offers you incredible Diwali offers and discounts on every lip-smacking goodness for your entire family happy. Search your favorite cuisine according to the restaurant popularity, ratings, minimum order value, free & fast delivery and save your money on huge food ordering with TopCashback. TopCashback offers you unlimited food ordering happiness with exclusive Foodpanda discount codes and vouchers plus up to Rs.80 cashback. Make your first order on Foodpanda on this Diwali and enjoy unlimited offers exclusively for new members. TopCashback offers amazing Diwali cashback of Rs.80 on Foodpanda online purchase exclusively for new users and extra Rs.40 to your account with Diwali special coupon codes for your double happiness. Also, get flat 50% off on your first three orders from Foodpanda and extend the savings with up to 80% TCB cashback for a much tastier shopping experience. Enjoy your personal favorite cuisine in this Diwali season with Foodpanda and add exclusive TCB coupon codes for instant cashback plus enjoy super TCB cashback on top. Foodpanda also offers you exciting deals and offers on Chinese foods. So, shop now via TopCashback to get up to Rs.80 extra for unlimited happiness. Stop going for COD and enjoy great deals on this Diwali by paying via leading payment wallets like PayTm and Mobikwik. Pay through Mobikwik and win up to Rs.400 Mobikwik super cashback plus up to Rs.80 cashback exclusively from TopCashback. Also, use PhonePe and get up to Rs.400 cash back on your 3 orders and add extra 80 TCB cashback on top for your transactions. So what you are waiting for? Sign into your TopCashback account and shop normally, we take care of the rest. 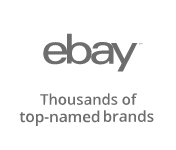 You will enjoy great savings on your food orders using TopCashaback latest coupons, discount codes and Cashback offers. So be ready to celebrate this Diwali with unlimited offers from TopCashback and don’t forget to refer your friend to get bonus Rs.250 on top. Foodpanda boasts of a blazing delivery of ordered food right to your doorstep. Right from birthday parties to anniversary celebrations, just push a couple of buttons on your mobile or clicks on your computer and voila! Delicious tasty food will be delivered right to you anytime, anywhere! From heavy Sunday morning brunches to midnight hunger pangs, you can order online on the portal at an unmatched price. The best part is, you get additional discounts when you order through TopCashback. Cashback will be added to your account in the pending status. Once your cash back goes to Payable status, you can withdraw money directly from bank transfer or Paytm/Amazon Pay Balance Wallets. Right on top of this, TopCashback is a free to join and free to use website. So join our 6 million plus happy customers start saving money by our exclusive Foodpanda offers today! Foodpanda is an online marketplace where you can order food online and get them home delivered from a restaurant of your choice. Starting from brunch to midnight hunger pangs, you can order on Foodpanda anytimr anywhere. With a superfast delivery service in over 100 cities across India, it is one of the largest food takeaway services in India. TopCashback has the best Foodpanda offers to help you save money online, so shop through us to maximize your savings today. Browse through the awesome menus from the restaurants and choose by cuisine,highest ratings, breakfast, snacks, and much more. While you're at it, don't forget to look for our exclusive Foodpanda coupons to get additonal discounts.